This step-by-step guide exists to help you install and configure Fail2ban on your server to prevent hackers attack ( SSH and WordPress brute force attack ). 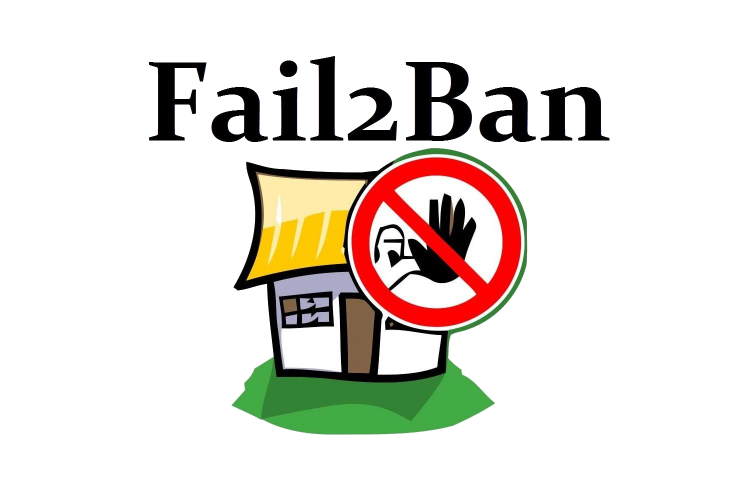 We discussed How fail2ban works on the previous post. Fail2ban is installed as part of the target environment(Ubuntu), the container remains independent. However, to interpret the filters Fail2ban must have access to the container log files. 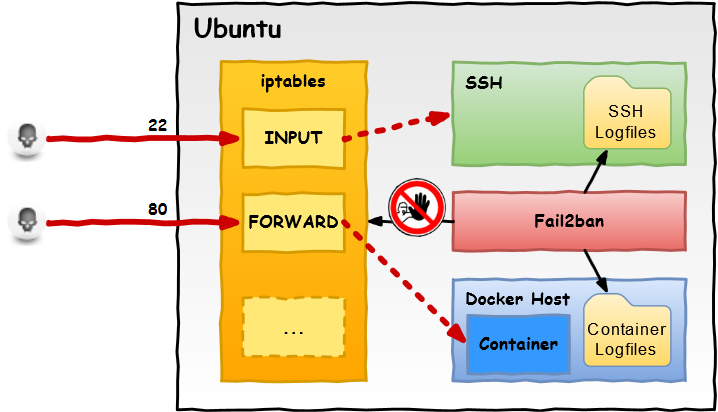 The following example shows Fail2ban, Docker Host, and Container on an Ubuntu server with iptables. Fail2ban should monitor and protect the SSH accesses to the Ubuntu server and the HTTP accesses to the Docker container. Fail2ban helps protect a server from brute force and Deny-Of-Services (DOS) attacks. Hello everyone, I’m chained to post a new series dedicated to a Big Data project. The extreme volume of data. The wide variety of data types. The velocity at which the data must be processed. In this tutorial, we’ll do a simple analysis of sentimental Tweets Spark with SQL on a json file. This exercise is designed in Java to retrieve a stream of Tweets and Scala for spark SQL scripts. You will find the Repo Github link in the tutorial. above illustrates the architecture of our application. In this chapter, we will walk you through using Spark Streaming to process live tweet streams. Remember, Spark Streaming is a component of Spark that provides highly scalable, fault-tolerant streaming processing. These exercises are designed as standalone Java programs which will receive and process Twitter’s real sample tweet streams. You will find it the Gist Github links in the tutorial. This video Demonstrate how to create a twitter application. First go to https://apps.twitter.com/. Welcome, we will discover in this tutorial how to connecting Spark with Cassandra database using the Java language. The code will be done in Java you will find it the Gist Github links in the tutorial. Here is a set of mobile mockups that you can use to create custom mobile application. I realized an implementation for some mockups using the hybrid framework Ionic 1, and angular 1.I hope you like it. Welcome, we will discover in this tutorial how to create RestFull API with MongoDB as NOSQL database using the Java language. at the end of this tutorial you will be able to create your own API interacting with NOSQL database (mongodb). The code will be done in Java you will find it the Github repo links at the end of the tutorial. Welcome, we will discover in this tutorial the Spark environment and the installation under Windows 10 and we’ll do some testing with Apache Spark to see what makes this Framework and learn to use it. The code for this lab will be done in Java and Scala, which for what we will do is much lighter than Java. Do not worry if you do not know what language we will use only very simple features of Scala, and basic knowledge of functional languages is all you need. If that’s not enough, Google is your friend.